.Saving the electricity, the luminance is high: Can reach general 80W firefly's mere lamps and lanterns (T8 or T5) Result. 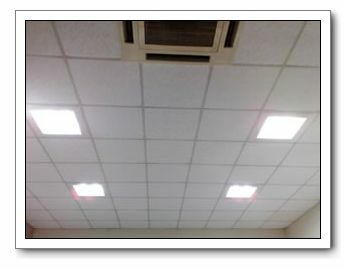 .LED light does not have infrared ray and ultraviolet composition, does not injure the human body and other animals and plants. .The light is steady and without glare, do not injure eyesight. .Have long performance life (greater than 20000Hr) ,Can save and change the cost that the light is in charge of and trouble changed. .Moisture silver, environmental protection is environment-friendly, cherish the earth and leave the later generation the space that descendants continued life forever. .LED is able to bear shaking not breaking. © 2003 Acadia Technology, Inc. All rights reserved.